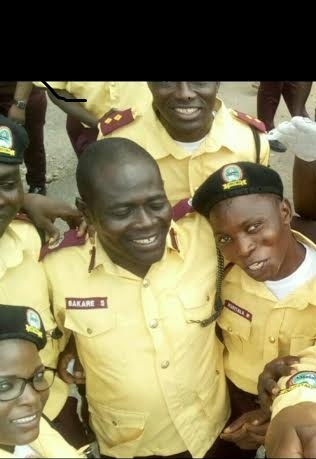 Yesterday afternoon I, unfortunately, watched the video of the killing of Mr. Tajudeen Olatunji Bakare a Lagos State Traffic Management Authority (LASTMA) official; he was killed on the 15th of December. The poor man was gruesomely murdered for a death he may not have known anything about. His eyes were gouged out; he was stabbed severally, then stoned to death; all in broad daylight. After watching that video, I came to the conclusion, that humanity has lost its essence. We don’t have a heart anymore. While this man was being attacked, there was no one who could stop it; instead, people were videoing the incident and watching. Those that weren’t watching either passed by or joined in the act. It is unfortunate how we’ve taken matters into our own hands, this nonsense thing we call JUNGLE JUSTICE MUST STOP. It is barbaric and inhuman. Even if Mr. Tajudeen had something to do with the young boy’s death, he didn’t deserve to die. Why do we have the court of law? What happened is disheartening. I kept saying to myself, is it that no one could stop them or call the police, just do something/anything to save his life. I really pray and hope they find Mr. Tajudeen’s killers and be made to face the law. I can’t post the video; it is too gory and disturbing watching the wickedness of one man to another. On social media, you would read of an incident where someone was involved in an accident and needed urgent help, or be taken to a hospital for treatment, but no; the people around would be more interested in videoing the accident to upload on SM. We need to show love to people around us, help wherever we can, do the best we can to make the world a better place than we left it.